For this ceremony, we chose a “Wedding Tree”, located in Tewantin at Ward Park. We have another amazing tree at the Tewantin RSL Park available as well. 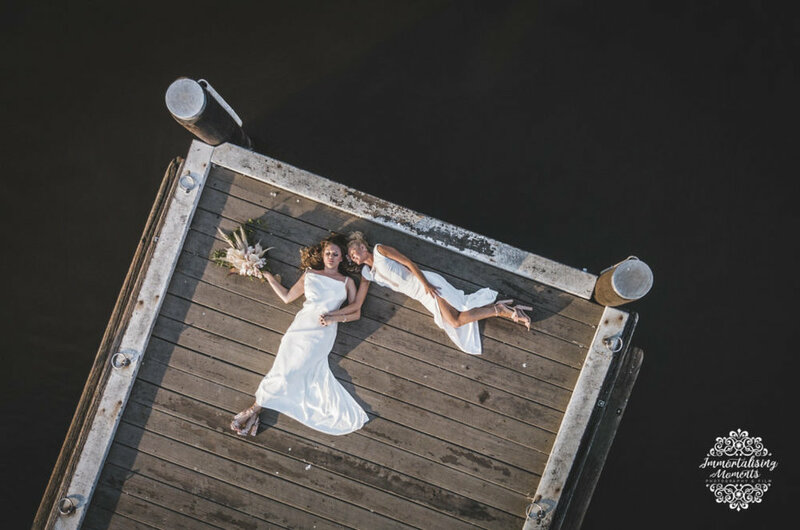 Both are situated a short distance from the Noosa Marina, where First Class Functions styled this Noosa waterfront venue, The RiverDeck Restaurant. 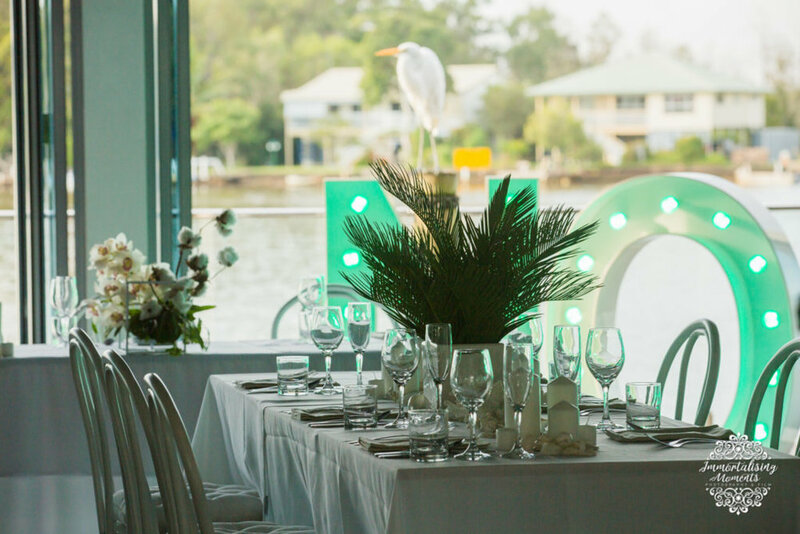 Gorgeous views from this reception venue, with local handsome White Egret always happy to photobomb! The beautiful florals, and brides bouquet, were all created by First Class Functions talented Florists, and the ceremony styling and decor created also, by First Class Functions styling team. Our beautiful bride is Dena. 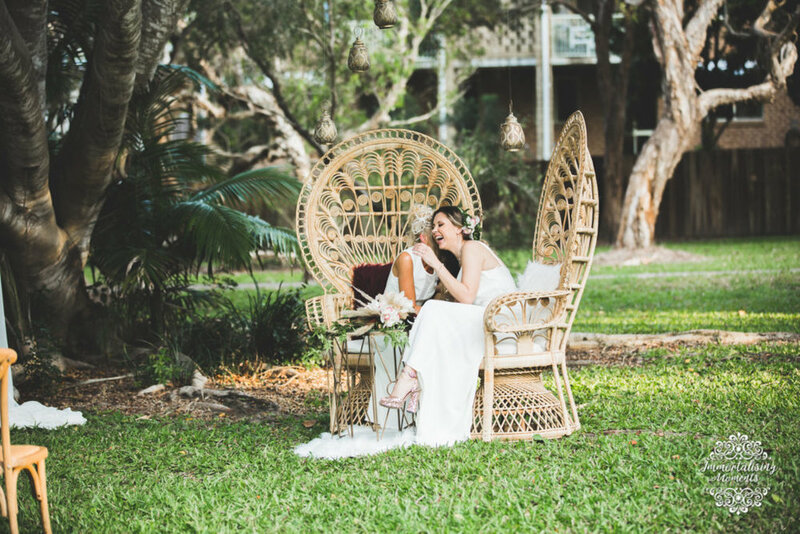 Noosa wedding hair and makeup specialist Debbie from Beauty On The Move , felt soft waves on our beautiful winter day would be perfect for this shoot, with floral hair piece by Cherrywood Designs. Makeup also by Beauty On The Move. 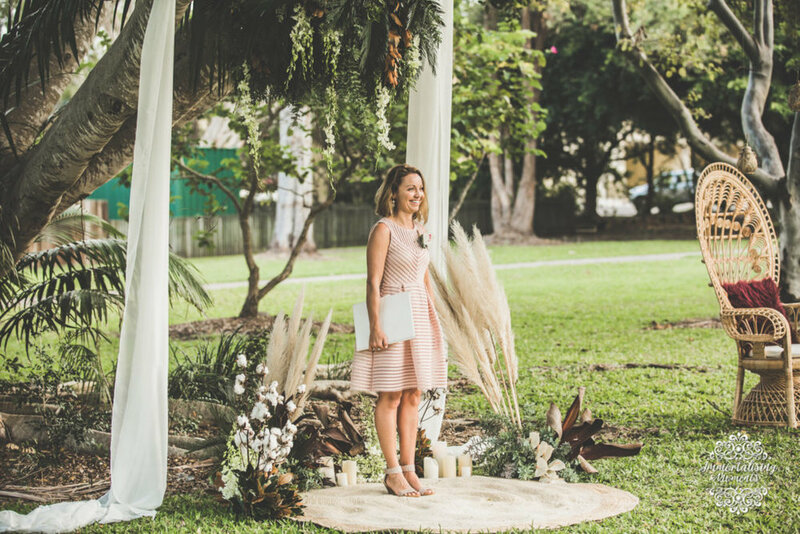 Natalie Skye, celebrant, lives up to her business name - The Sunny Celebrant! Bringing happiness and sunshine everywhere she goes! Unique and individually designed and crafted wedding hair jewellery is from Cherrywood Designs, with the delicious wedding cake and gift cup cakes by local cake maker Butter Cups Cup Cakes. Such peace of mind to have a local cake designer make and deliver your cake directly to your wedding reception venue. 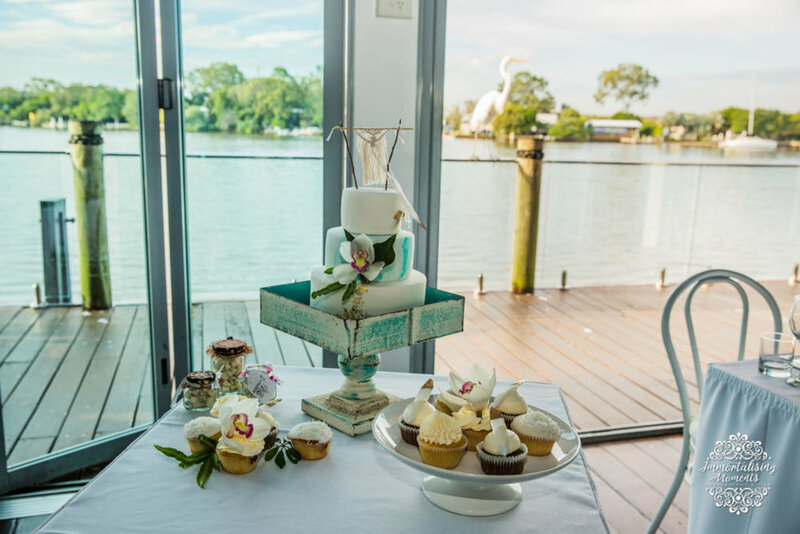 The wedding bonbonniere/favours are made right here in Noosa by Candy Addictions. When visiting Noosa, you’ll find them in Hasting Street. Those colourful letters you see are from Event Letters. You will have a remote control to ensure your chosen letters are colour themed for your day. Amazing Images by Immortalising Moments. 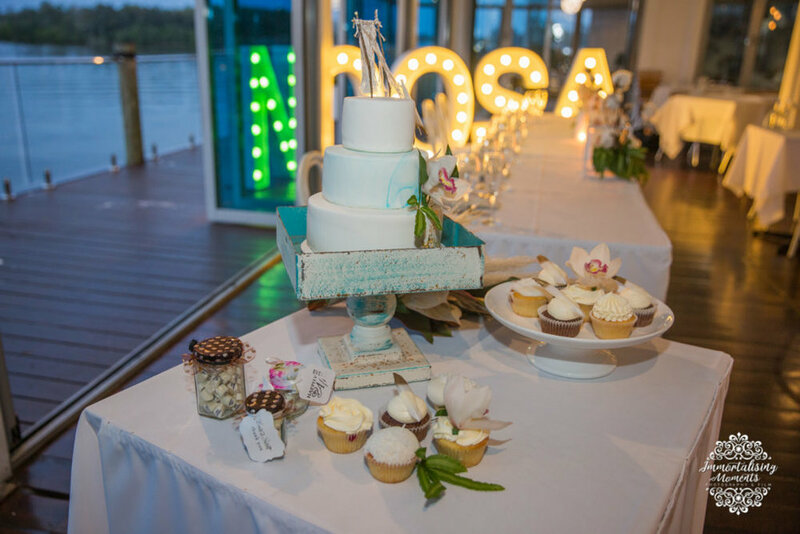 To join the Noosa Wedding Organisation your business must be based within the Noosa Shire or be a mobile business, based within the Sunshine Coast that services the Noosa are.